Welcome to YouthBuild Columbus Community School! YBCCS is a dropout recovery high school serving students who wish to receive their high school diploma while earning certifications in NCCER Construction, State-tested Nurse A﻿﻿ide﻿﻿, Manufacturing, Microsoft Office Career Tech training and Career Based Intervention. 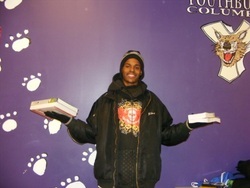 YBCCS promotes the hope and belief that students ﻿with the desire to be successful can realize their dreams. YouthBuild Columbus is a metro high school that offers career technical programs for students aged 16 to 21 who are interested in working towards a high school diploma while learning residential construction or nurse assisting skills. The mission of YouthBuild Columbus Community School is to advance under-served youth through education, job training, personal and leadership development and community service. The faculty is committed to the goal of preparing students for success; receiving a high school diploma, being prepared for the world of work; and/or being academically prepared to attend college. Students are expected to make the positive changes in their behaviors and attitudes that are necessary for their personal success. At the end of YouthBuild Columbus Community School’s two week orientation entitled “Mental Toughness”, all students are given an entrance exam to place them in the proper academic level coursework. Students spend a half day in regular academic courses – Language Arts, Science, Mathematics, Humanities, and Technology – and a half day in a chosen career-technical field – Residential Construction or Nurse Assisting – which includes hands-on, practical instruction. Students graduating from YouthBuild must pass the Ohio Graduation Test, achieve state learning standards for 12th grade as outlined by the Ohio Department of Education and score at a 12th grade level on the school exit exam. 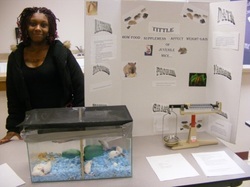 Students also participate in career, life skills, and leadership training activities. Students are eligible to receive a learning stipend if they meet performance standards related to attendance and academic performance. YouthBuild Columbus has adopted a Project-Based Learning curriculum. Project-Based Learning increases student engagement by providing students with the opportunity to use the knowledge they gain to address issues that are important to them. Students incorporate 21st-Century and critical-thinking skills to develop in-depth projects and interface with community leaders. There is emphasis placed on leadership development and effecting positive change in their communities. All YouthBuild students are assigned an adviser who provides guidance in and out of school. Each student has a weekly meeting with his or her adviser in either a group or one-on-one session to discuss challenges, achievements, and future goals. Nursing students gather with their purple YouthBuild scrubs and stethoscopes. 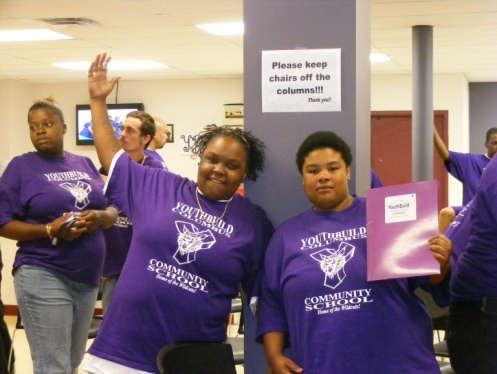 YouthBuild Columbus Community School employs both a full-time Alumni Coordinator and Post-Secondary Education Coordinator/Counselor who work with students on an individual basis to complete post-secondary application requirements for both college and industry.